The Palestinian resistance apparatuses caught a pro-Israel double agent who took advantage of the frosty storm, hitting Gaza lately, to stake out on resistance kit and agendas. The Majd Security website said the collaborator was caught by the resistance security devices in the act, while raking through land lots believed to be a breeding ground for resistance projectiles. 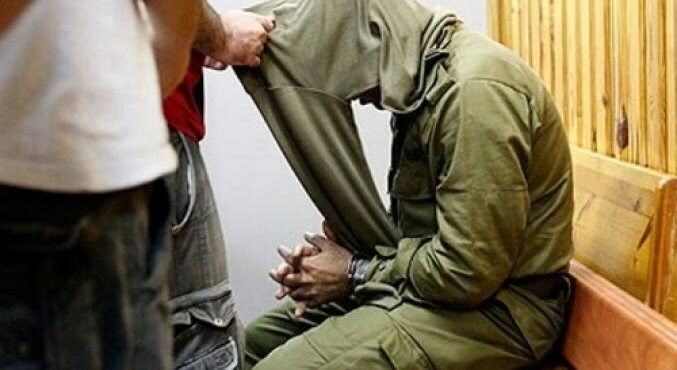 The spy admitted that an officer of the Israeli Shabak intelligence devices asked him to carry out a covert stakeout to gather evidence on underground stockrooms for Palestinian resistance arsenal, taking advantage of the sub-zero temperatures and torrential downpours to perform his mission as stealthily as he possibly could. Earlier, the resistance said it had grabbed hold of a turncoat taking charge of intelligence missions across Gaza’s abandoned areas. The spy had reportedly been assisted by an Israeli intelligence officer throughout the stake out. Gaza police on Friday arrested two individuals who allegedly planted an explosive device in front of the al-Quds Open University in the northern Gaza Strip. 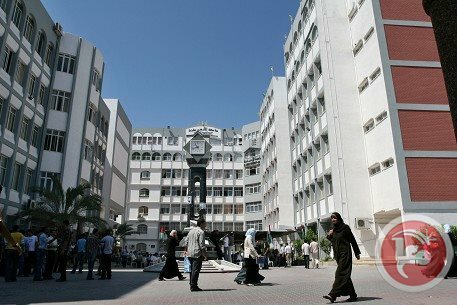 Spokesperson for the Ministry of the Interior in the Gaza Strip said in a statement that the police captured two students who planted an explosive device at the gate of al-Quds Open University early Friday. Iyad al-Bazm said that the incident came after a dispute with the administration of the university. Gaza has been rocked by a series of violent incidents in recent months, the majority involving attacks on the property of Fatah officials in the Hamas-dominated region. Friday's incident at Al-Quds University, however, appeared to be an isolated incident. The Palestinian Authority (PA) security forces rounded up seven Palestinian citizens and summoned others for interrogation, Hamas reported Thursday. According to a statement by Hamas, the PA intelligence apparatuses in Qalqilya nabbed the Palestinian citizen Basel Mahmoud Abu Suleiman from his workplace in the city and his brother Abdulrahman, 21. The PA forces further captured a university student moments after they broke into his family home. Both Islam Nabil Khadhraoui and Anas Mohamed Mosleh were also arrested in the process. Meanwhile, the PA intelligence transferred six Palestinian detainees, held at the Jericho jail, to the PA lock-up in Qalqilya. In a related development, the PA intelligence in Qalqilya denied the mother of the political prisoner Mahmoud Mardaoui the right to visit her son on groundless accounts. Sources based in a-Khalil, said the Halhoul-based PA court extended the administrative detention of the detainees Mohamed Shafoot and Abdullah Zama’ra for 15 days. Both were also reportedly sentenced to a 500-dinar-fine. The PA forces further captured the ex-prisoners Mohamed Ahmed Abu Salim and Saleh al-Sheikh from Ramallah city. A sit-in has, meanwhile, been staged by members of the Birzeit University Islamic student bloc in protest at the mounting arbitrary arrests carried by the PA apparatuses for 64 consecutive days. In Bethlehem, the PA intelligence apparatus summoned ex-prisoner Omar Habib, 29, for interrogation, just a few days after he had been released from the PA preventive security jails. The senior leader in Hamas Movement Nader Sawafta condemned Tuesday the PA continued political arrest campaigns against resistance factions’ members in the West Bank. Political arrest policy destroys the social fabric and national unity, he said, warning against its serious implications on national conciliation. "We could not accept political arrests and summonses against resistance factions’ members in West Bank while we are still suffering from the occupation's oppression," he stated. Sawafta called for immediately and seriously putting an end to this PA policy, stressing the need for a strong national position against political arrests. He also called on national and Islamic figures to bear their responsibilities towards these human rights violations. Such practices only threaten the Palestinian national project, Hamas senior leader underlined. 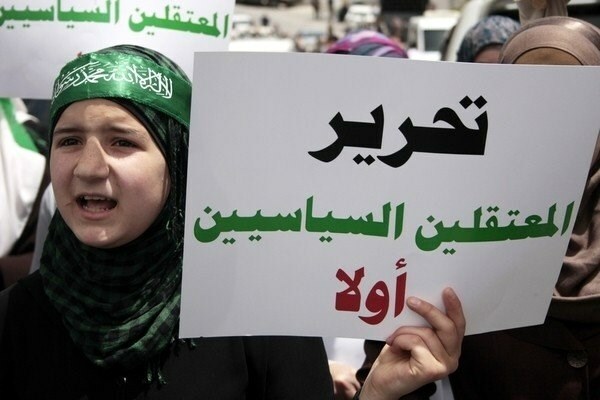 In this matter, Hamas Movement earlier said that political detainees are usually and arbitrary transferred to Jericho prison to the east of West Bank as an attempt to avoid media coverage of their detention conditions. Palestinian security forces detained 27 people after they stormed the towns of Beit Awwa and Deir Samit in the Hebron region early Saturday, amid what officials say is a growing crackdown on "outlaws" across the West Bank. "Police arrested 20 fugitives, officers from the preventive security (forces) arrested four, and general intelligence officers arrested three," an official in the Hebron security forces told Ma'an. The detainees were taken to interrogation centers for questioning following their arrests. According to officials, the detainees in Beit Awwa and Deir Samit were suspected of involvement in "theft" and drug dealing. The Hebron official told Ma'an that the detentions were part of a serious attempt to target to lawlessness in the Hebron district in particular and in the West Bank in general. The security crackdown will continue across the West Bank as part of the PA security services' "effort to eliminate all negative phenomena and protect the security and safety of Palestinian citizens," added the official, urging fugitives to turn themselves in. Scores of Palestinians have been arrested in recent months as part of the PA's crackdown, and injuries have been reported in the raids. 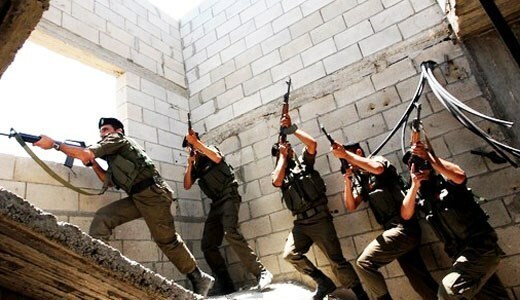 Home raids in the Nablus-area refugee camp of Balata at the beginning of February, meanwhile, have spurred resistance, particularly after former general intelligence chief and current Fatah member of parliament Jamal Tirawi was confronted by forces there. At least three members of the security forces were injured in the clashes that broke out in the days that followed the original raid. PA security forces often conduct late-night raids on the homes of Palestinians across the West Bank, sometimes as a part of "security coordination" with Israel, though these raids are generally carried out in the name of preventing crime and arresting fugitives. The US-trained security forces have also been plagued by accusations of excessive violence during the raids. In October, PA forces shot and killed Bilal al-Rajabi, 25, during an arrest raid in Hebron. The coordination committee of Palestinian factions on Thursday afternoon handed Seven wanted Palestinians from Balata refugee camp in Nablus city to the Palestinian Authority (PA) security forces following days of negotiations. The wanted citizens turned themselves in to Palestinian security forces during a meeting attended by Palestinian prime minister Rami Hamdallah, Nablus governor Akram al-Rajoub, representatives of Palestinian political factions, and lawmakers, senior official of the Palestinian People’s Party Nasr Abu Jeish told the Palestinian Information Center (PIC). The Palestinian Premier hailed the move as a step in the right direction and a key measure to preserve security and stability in the city, according to Abu Jeish. The seven unnamed men will be brought before the court and tried according to due process of law. However, a number of other wanted citizens from the camp still refuse to turn themselves in to the PA security authorities. A Palestinian young man and a girl were injured when PA intelligence forces opened fire towards the young man in an attempt to arrest him in Nablus. Eyewitnesses told the PIC reporter that the young man Muntasar Araishi was shot and injured in his leg while another girl, who was found in the scene by coincidence, was slightly injured in her hand after PA forces opened fire towards him. PA forces claimed that Araishi is wanted for its intelligence services as he is involved in shooting against PA security forces during an arrest campaign carried out earlier in the city. Local residents strongly condemned Araishi’s arrest amid heavy fire in a crowded open area in the city. 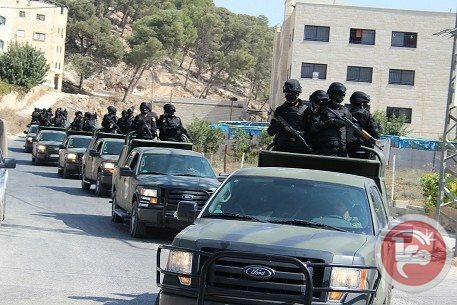 PA forces have carried out along the past few days a security campaign against a number of “wanted persons” in Balata refugee camp to the east of the city. The Israeli occupation forces (IOF) at dawn Friday kidnapped a Palestinian ex-prisoner during overnight raids on homes in Yabud town, south of the northern West Bank city of Jenin. Israeli army patrols stormed Yabud town at four o'clock in the morning and kidnapped 20-year-old ex-prisoner Aziz Samer al-Qalq, moments after they broke into his family home and ransacked it, locals told a PIC news reporter. 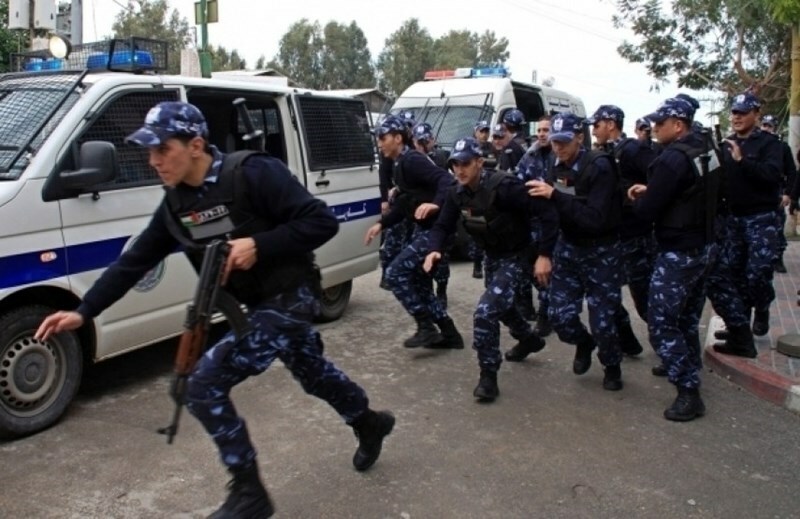 Meanwhile, the Palestinian Authority security forces raided Jenin camp and clashed with armed men. Militants in the camp fired back after soldiers from the PA presidential guards and other security apparatuses broke into the refugee camp amid intensive gunfire. 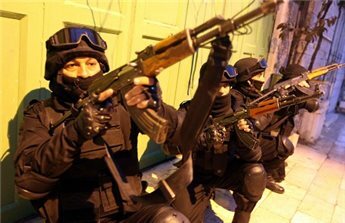 The PA forces also stormed and searched a number of Palestinian houses in the camp. 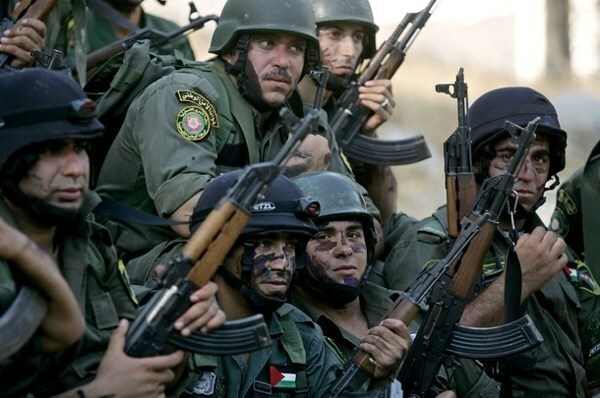 Three Palestinian security officers were injured in armed clashes, Thursday morning, between Palestinian security officers and gunmen in the Balata refugee camp, east of Nablus in the northern West Bank. Security sources said, according to Ma'an News Agency, that the officers came under fire just as they entered the camp, which is the biggest in the West Bank, in an attempt to arrest a number of fugitives. Palestinian security described the gunmen who fired at the security officers as "outlaws". Locals in the camp said that several vehicles were damaged as a result of crossfire. They said that gunmen from Balata completely closed the main street near the camp to traffic. Schools were also closed in the camp. The governor of Nablus, Akram Rajoub, held a meeting in his office with Nablus district representatives of Palestinian factions, trade unions, sports clubs and dignitaries to discuss the situation. He noted that the security crackdown in the district targeted outlaws, drug dealers and gunmen who attack Palestinian organizations and individuals. 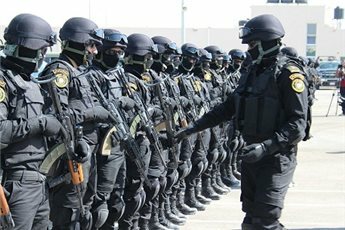 The decision to carry out an intensive security campaign came only after "all quiet and smooth means" have failed to bring the fugitives and outlaws to justice. "We won't allow whoever to encroach upon people through thuggery, as it can't be accepted anymore to undermine the dignity of our people," he said. Rajoub denied claims that the security crackdown was "singling out a certain area." Activities, he said, are going on everywhere across the governorate. He confirmed that intensive security activities would continue quietly "without negatively affecting people's lives or annoying anyone". Speaking on behalf of the participants in the meeting, deputy chairman of Nablus chamber of commerce Omar Hashim said that keeping peace and order is a collective responsibility which all social groups and organizations should cooperate to achieve. The Palestinian Authority (PA) security forces have kidnapped four Palestinian citizens in different West Bank areas, while a political prisoner in a PA jail in Bethlehem started a hunger strike in protest at extending his detention. In Nablus, the PA preventive security forces detained Amjad Qawariq, an ex-detainee from Awarta town, after summoning him for interrogation, and raided his home for the second time in a month. In al-Khalil, another young man named Mahmoud Fares, a university student from Dura town, was also detained by the preventive security after interrogating him. 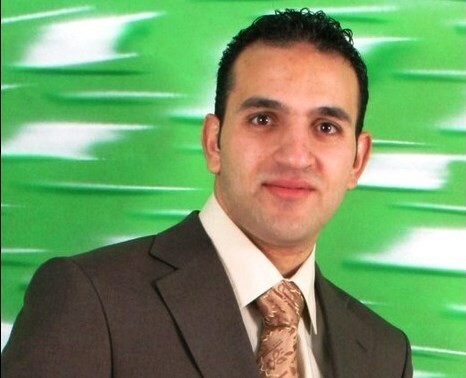 They also kidnapped Riyadh Awad, 49, from his home in Halhul town, north of al-Khalil, after ransacking it. He is a former political prisoner in a PA jail. The PA intelligence forces, in turn, kidnapped 45-year-old Mahmoud Ka'adan, from Arraba town southwest of Jenin. He is an ex-detainee in PA and Israeli jails and the brother of senior Islamic Jihad official Tareq Ka'adan, a prisoner in Israeli jails. The family of Ka'adan said that PA intelligence forces came to the house to arrest its son Mahmoud, who was on a visit to al-Razi hospital in Jenin city, adding that they went to the hospital and took him from there. In Bethlehem, four young men rom Masarah village have been detained by the preventive security since last Wednesday. The detainees are Awdeh Beraijah, Ahmed Hajaj, Mufid Adel and Osama Naji. All of them were kidnapped from their homes by preventive security forces, who confiscated some of their personal belongings, including computers and flash discs. For his part, 24-year-old political prisoner Mahmoud Taqatiqa, from Marah Muall village south of Bethlehem, started an open-ended hunger strike in protest at the extension of his detention for 15 days. The PA preventive security apparatus had kidnapped Taqatiqa several times before because of his political activities and he is the brother of Iyad, a prisoner in Israeli jails. Palestinian security forces carried out household raids in Nablus and nearby Balata refugee camp on Sunday, including the home of the Palestinian Authority's former general intelligence chief. Ma'an News Agency reports that Jamal Tirawi, now a Fateh-affiliated member of the Palestinian Legislative Council, said that PA forces stormed several houses, including his apartment building. "The security officers asked to inspect my apartment after they entered all the apartments, where my brothers live on the upper floors. When I told them that my apartment enjoys immunity (from PA raids), they asked to inspect the apartment of my brother who lives next door." The apartment is located in a building owned by his family. Tirawi added that he intends to sue the governor of Nablus and security services in the city. Security sources said that the forces who inspected Tirawi's house were looking for one of his relatives, whom they suspected to be hiding there. 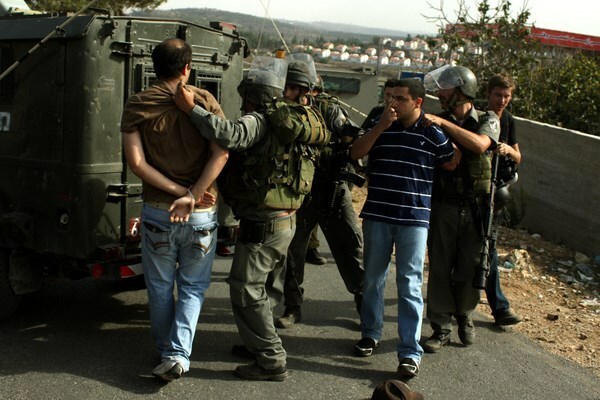 They additionally stated that they arrested five "fugitives" in Balata refugee camp and in Nablus. 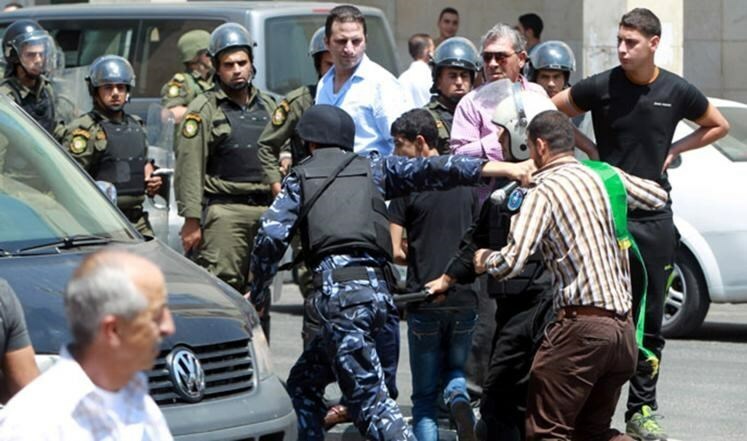 The crackdown is slated to continue until all so-called fugitives in the Nablus area are arrested. PA security forces often conduct late-night raids in the homes of Palestinians across the West Bank, sometimes in conjunction with Israeli "security coordination". Though defacto president and Fateh member Mahmoud Abbas warned that, should the UN Security Council refuse the draft resolution recently proposed (and rejected), he would reconsider relations with Israel through ceasing security coordination, the relationship between the PA and Israeli forces remains intact.